It’s confusing to know what foods to start your baby on! It’s always important to check with your doctor, but the latest research shows that starting allergenic foods before age 1 actually prevents allergies. 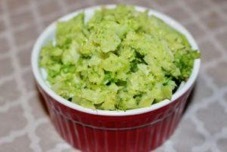 Ultimately, the best homemade baby food should be the same as the foods that are best for us. Babies grow rapidly, and even though they are small, their need for nutritious food is very high. 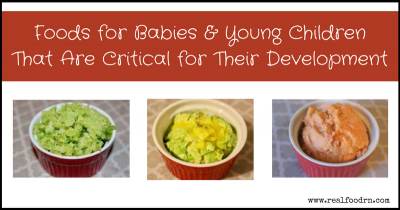 The most nutrient-dense foods will help them grow into strong, smart, healthy, happy babies. Here are my top recommendations for homemade baby food and young children food and reasons why they are. Hint: It all comes down to nutrient density. Vegetables are always a great start! Carrots, sweet potato, broccoli, and cauliflower are great starts. These can be mixed with some healthy fats to make them delicious! These vegetables are also nutrient-dense. The sweet root vegetables (carrots, sweet potato) contain beta-carotenes, and the cruciferous vegetables (cauliflower, broccoli) contain magnesium, calcium, iron, and vitamin C.
Egg Yolks have been a common weaning food from many traditional cultures. They are rich in vitamins A and D that support the nervous system, eyes, and bone health. Plus, eggs contain choline and healthy fats that boost brain development. 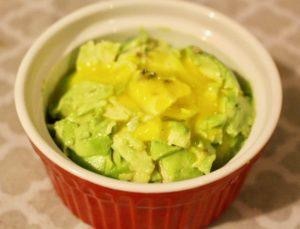 Check out this avocado and egg yolk puree to try with your baby! Grass-fed Butter or ghee is a common weaning food in ancestral cultures and in India. In India, traditional wisdom tells them that babies need these healthy fats to develop large brains. So, until age 2, they mix lots of butter or ghee into their baby’s food to promote smart children. Our brains contain 60% saturated fat. Therefore, we need healthy sources of these fats, especially when growing. Finally, grass-fed butter contains vitamins A, D, and K2 for strong bones, proper growth, and nervous system function. Grass-fed meats and wild-caught seafood offer critical nutrients to your baby aside from protein. Specifically, wild-caught salmon contains omega 3s that promote brain development. Organ meats, like chicken liver, are also important to incorporate into your baby’s food because of the high nutrient content, especially vitamin A and iron. To help develop your child’s palate, wait to do sweet foods, even fruits, until after their first birthday. This is a common practice in France to help their children grow accustomed to a wide variety of foods and not have a strong preference for sweet foods. These tastes need to be developed early or it becomes a serious STRUGGLE later on. However, this is not to say that your child will like everything you serve on the first try. Do not give up, though! It can take seven tries to develop a taste for something. So, try to introduce a food at least that many times. You can retry it every few days, or see if mixing it with other foods helps them get accustomed to it. 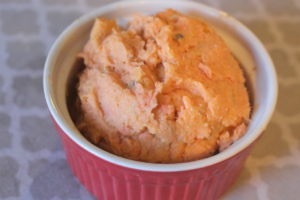 For example, when I fed my son salmon, I mixed it with sweet potatoes to lessen the strong fishy taste. Over time, he developed a taste for fish, and now, it is his favorite homemade baby food! If you want a really amazing comprehensive guide for baby and childhood nutrition, then you NEED to grab a copy of Nourishing Traditions: Baby and Child Care. I read it cover to cover when pregnant and followed all of their guidelines!